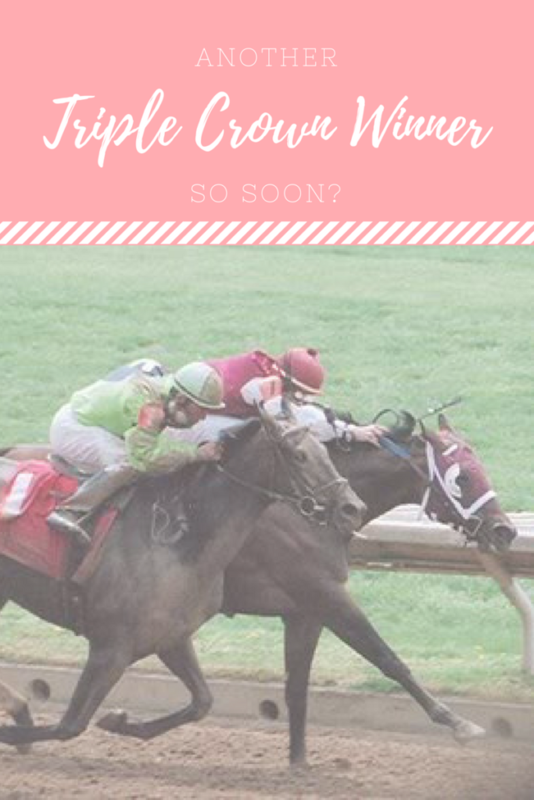 Another Triple Crown Winner So Soon? Anyone who knows me, knows I’m a huge horse racing fan. The Belmont Stakes is today and I’m excited! Justify has already won the first two legs of the Triple Crown. He won the Kentucky Derby by 2 1/2 lengths on a sealed sloppy track. Justify then went on to win the Preakness Stakes on another sealed sloppy track, emerging from the fog ahead by half a length after battling Good Magic throughout the race. It’s exciting that he’s been undefeated in all his starts. He’s the first horse in 136 years to win the Kentucky Derby without racing in his 2 year old year. I’m hopeful that he can pull off a Crown win, but I’ve been hopeful in the past and had those hopes dashed. It’s looking like there’s a chance of rain for the Belmont, so maybe that will work in his favor. Here are his Derby and Preakness races. From the Kentucky Derby Facebook Page. From the Maryland Jockey Club YouTube Page. Anyone who follows racing knows that you can’t discount any of the horses in the race, so I’ve been looking at the other entries in the race. Hofburg has caught my eye. I love closers. Plus there is distance in his pedigree’s bottom side. He handled the traffic of the Kentucky Derby well and finished a respectable 7th in that slop after being bumped at the start and being steadied in the race. Hofburg’s fastest BRIS speed figure was a 104 in the Florida Derby. I’m also looking at Bravazo. He handled the slop of the Derby and the Preakness well, coming in 6th in the Derby and 2nd in the Preakness. Bravazo was even gaining on Justify at the end. His highest BRIS speed rating was a 97 in the Preakness. My long shot is Noble Indy. His Louisiana Derby win came in a race with a very fast pace. His highest BRIS speed rating came in that race and was a 100. He doesn’t seem to like the slop though, so if it comes up wet today, he might be a wash.
Do you think we’ll have another Triple Crown Winner so soon? Who do you like in the race today? 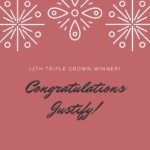 Next Next post: Justify Is Our 13th Triple Crown Winner!